Asphalt sealcoating is the method of applying a thin asphalt surface treatment to surface texture of pavement to preserve or extend its pavement life. Sealcoating is the most important element of pavement management. It serves as a protective barrier atop asphalt surfaces to shield against deteriorating effects. Although asphalt is preferred for parking lots and roadways for its excellent waterproofing, flexibility and adhesive properties at an affordable cost, it must be properly maintained in order to avoid serious damage. The application of a sealcoat protects asphalt surfaces enormously from deteriorating effects from salt, water, heat from ultraviolet rays, and chemical corrosion from gas and oil. All of these elements lead to asphalt breakdown, discoloration, cracks, voids and pot holes that can be resisted with a properly applied sealcoat. Atlantic Southern Paving and Sealcoating specializes in parking lot maintenance and have skilled technicians with the latest equipment to apply proper coating and revitalize your parking area. 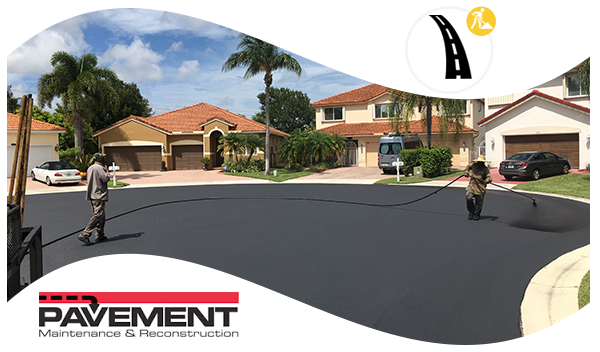 Improves the appearance of your asphalt with a rich, velvety black finish. Pavement gains a “like new” appearance, which projects a positive image for your company and property. The price of new asphalt will always be affected by crude oil. Alternatively, the cost of sealcoating is a fraction of an asphalt overlay. Sealcoating can extends the life of existing asphalt immensely at a minimal cost. Sealcoating fills voids, reducing exposure to oxygen, moisture, and UV rays. It prevents moisture from rain and snow from seeping into your asphalt pavement that may cause cracks and potholes It also protects against the sun’s rays, which can wear away 50% of your asphalt’s original thickness in just 5 years! Gasoline and oil breaks cause chemical corrosion that breaks down unsealed asphalt. Seal coating reduces gas and oil penetration into the asphalt. Sealcoating reduces maintenance costs considerable as it is easier to clean and maintain. Sealcoating provides added texture that improves driving safety. Over time, a pavement surface will become worn and the aggregate particles will become smooth and polished. When this happens, the roadway becomes more slippery and makes it difficult to stop suddenly. Sealcaoting increases surface friction with its added texture and allow safer roadways. As a trusted expert and professional for over 25 years, Atlantic Southern Paving and Sealcoating is a leader in asphalt paving, sealcoating, and repairs. We are the asphalt maintenance provider you can trust! Many sealcoating service providers vary in sealcoating quality for many reasons. Beware of those who will add more water to your sealcoating mix than what the manufacturer recommends in order to increase more yield. It is vital to use the correct amount to ensure your sealcoating solution properly protects your pavement. 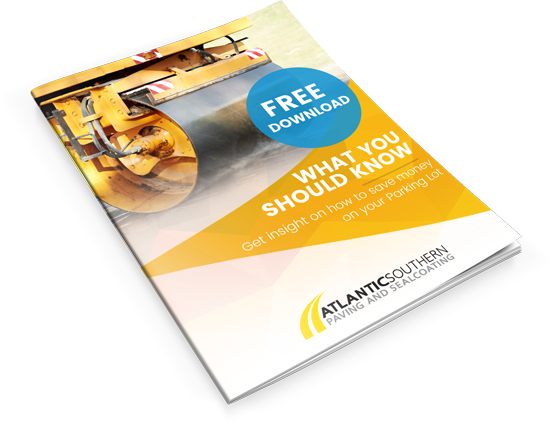 Atlantic Southern Paving and Sealcoating ensures you the absolute best quality sealcoating that will preserve your pavement and investment over a long period of time.